Meanwhile, a U-boat sinks the liner Athenia in the Atlantic with many casualties, including Americans, on board. Goebbels claims Churchill put a bomb in the ship to blame Germany and to lure America into the war. 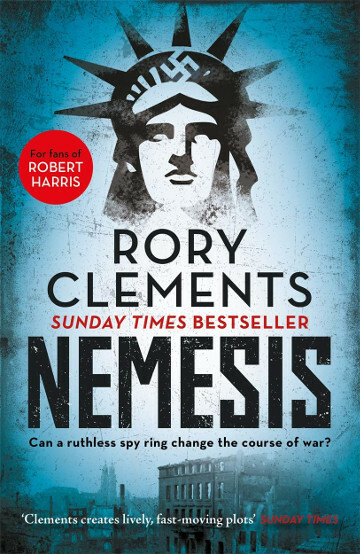 Nemesis is the third book in the Tom Wilde series, following Corpus and Nucleus. Rory Clements is also the author of the John Shakespeare series of Tudor spy thrillers.